MAYDAY is a magazine about culture, society, technology and unpredictable realities. The creative laboratory Trouble invited me to contribute with an article illustration for the second issue of MAYDAY. 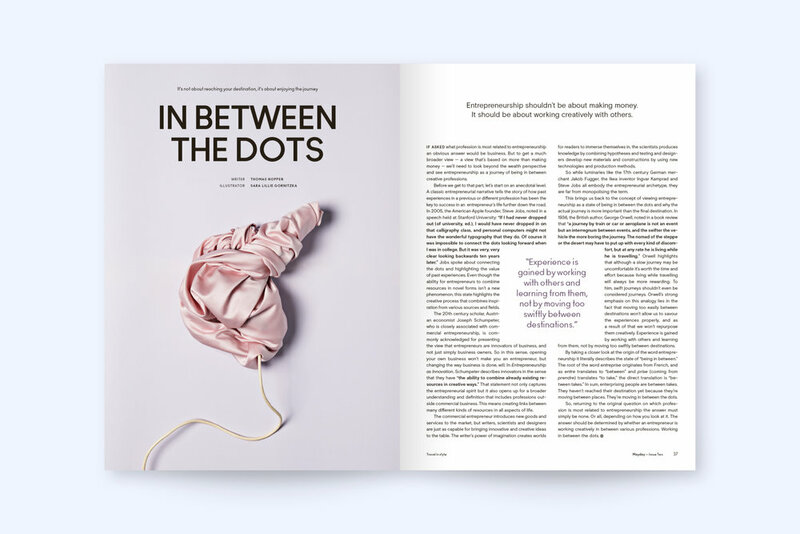 ”In Between The Dots” by Thomas Noppen is an article about how entrepreneurship isn’t about reaching your destination, as much as it’s about the journey.